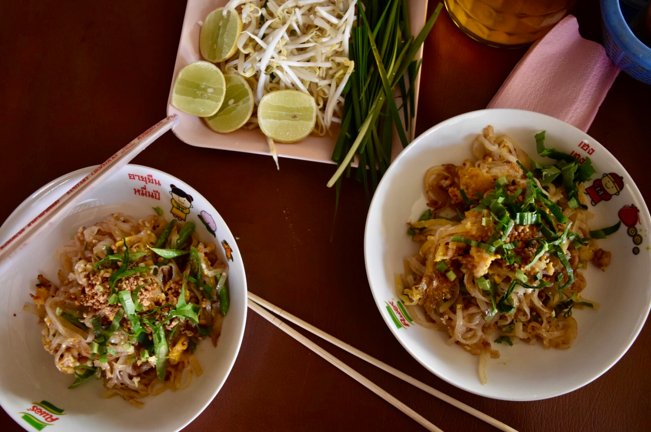 You’ve got to eat bowlfuls of this favorite local dish while you can, so you might as well be eating the very best Pad Thai while in Thailand!Listen up, ILP Phichit volunteers; your cutie city has the best Pad Thai around. 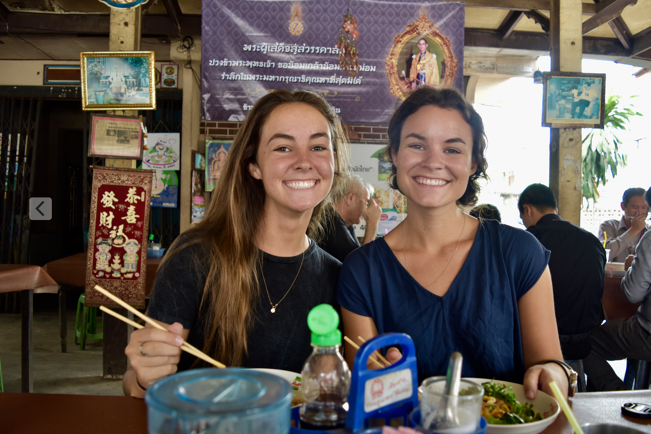 Oh and girls volunteering in Phitsanulok are lucky too, because Phichit is just one short train ride away so you won’t be missing out on this heavenly bowl of goodness. If you are a stranger to this incredible meal, we have alllll the details. 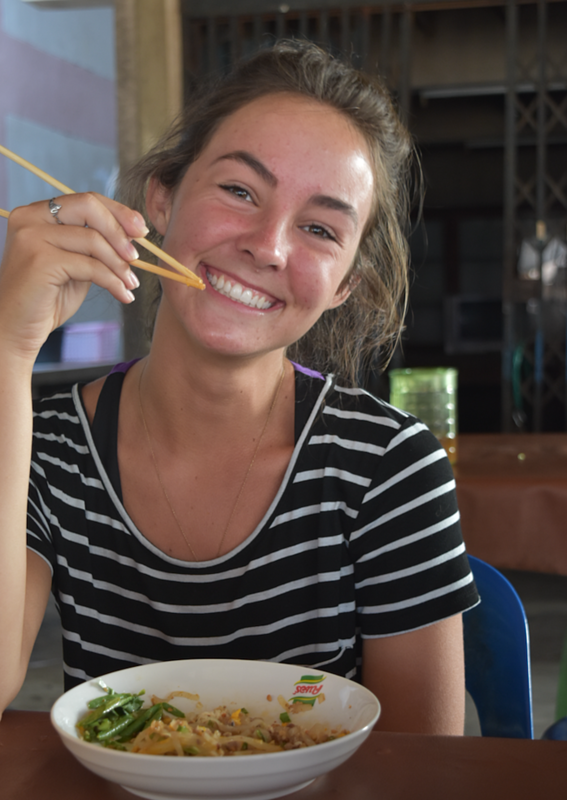 Oh, and if you want to actually live in Thailand as a volunteer so you can eat this every single day for a whole semester, we can help with that too! (You are so welcome). 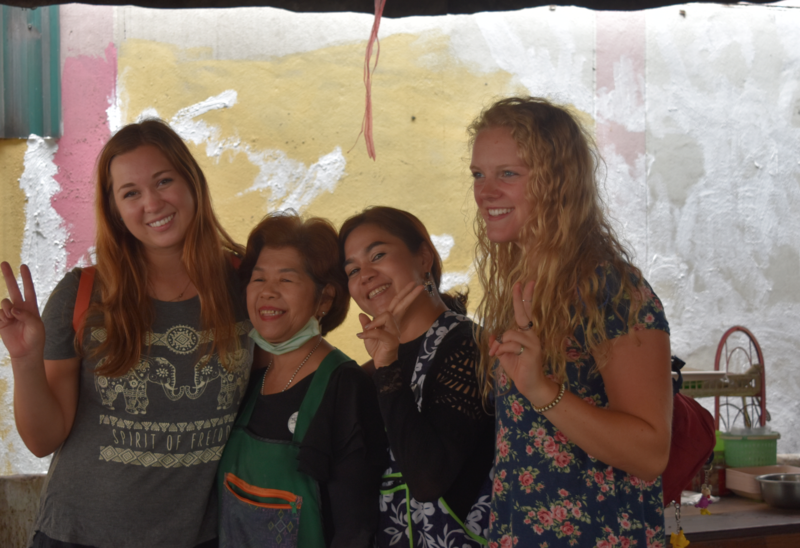 Thai…Come fill out an application and start packing! Okay, what exactly is Pad Thai? Why is this place the best? It’s a rice noodle dish (hooray for those who are eating gluten-free) that is stir fried with a light sauce, eggs, a protein (usually chicken or shrimp) and vegetables. Top with a squeeze of lime, crushed peanuts, bean spouts and chopsticks..obviously. It’s divine and really varies where you are traveling in Thailand. The Pad Thai you eat in Bangkok (eat dinner on top of a sky bar!) is slightly different than the stuff around the White Temple in Chiang Rai. So I say to eat it everywhere! But especially in Phichit. First things first — the noodles are the right size. Save fat noodles for Phat si-io (Pad See Ew) because you have to have the thinner rice noodles for Pad Thai. Secondly, I LOVE how there is really no sauce, all the flavor it just soaked up into those noodles. Next, I like the big pieces of eggs that you find nestled in the noodles My favorite part may be that you add the bean sprouts yourself meaning I could just pile on as much as I want. Basically, it’s perfectly balanced and yummy and amazing. Cheap, cheap, cheap. We are talking about 35 baht for a bowl, which is about a dollar. Think about what you can buy in America for a dollar…certainly not a meal that’s handmade with fresh ingredients right in front of your eyes. I always paid around $2 for a meal here because I think Pad Thai goes marvelously well with a ice cold Thai Tea. Yummy. You'll get to know the cutie ladies who run this place if you go here as often as I did! 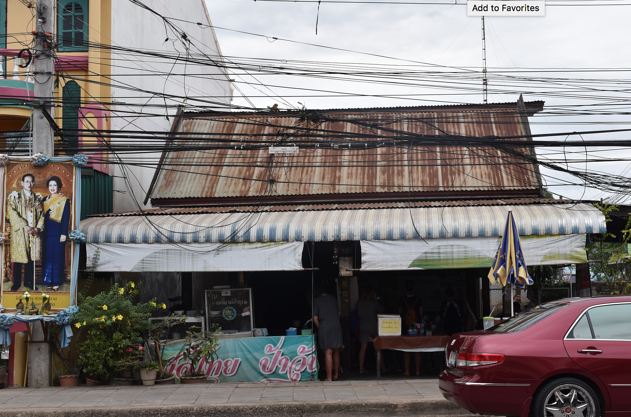 Again you can Pad Thai anywhere in Thailand, all around town, in restaurants and on the street .... but this particular restaurant in Phichit that we love is about a 15 minute bike ride from the school, on the main street. Go past the hospital and "Tot Public Company Limited" and it will be on your left, right next to a big yellow and red building. See it? It doesn't look like much, but that is what makes such a hidden gem. You ready to finally eat a bowl of this stuff for yourself? 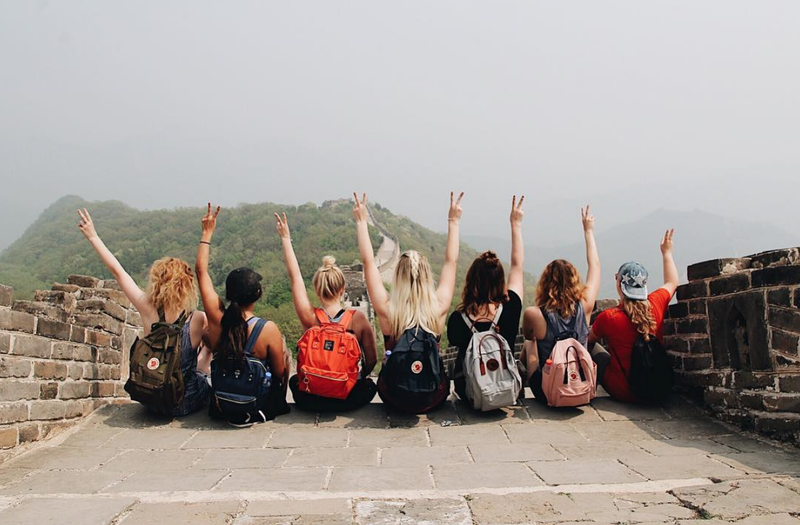 Fabulous — and don’t forget to check out what else you have to do while in Thailand! Our blog has tons of travel tips and all things Thailand. So come see what else this country has in store for you by clicking that little green button!